It’s new year, everybody’s wishing happy new year! We had such fun this new year! A group of 20 or so of us danced the night away at Kelvin Grove. What an absolute blast, the music was epic and we had a serious amount of fun! 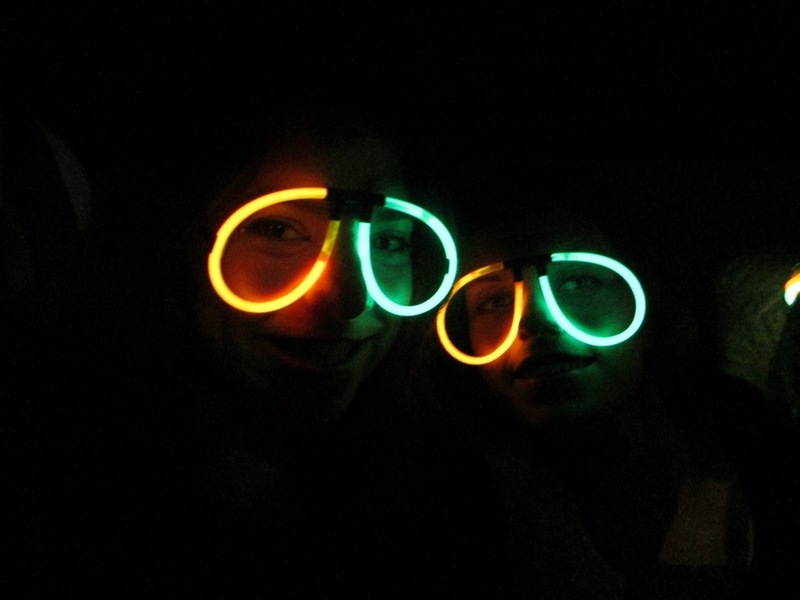 Incredibly important to the evening were the glow stick jewels and the lumo dots (compliments of KleeB and Haylz). 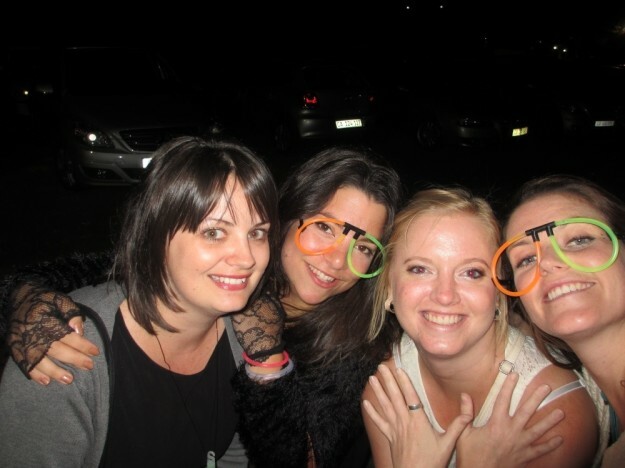 This is why I’m looking like such a dork in the pic, I’m actually trying to show off my lumo bangles …. But instead I just look a bit spaz! Thanks to my rad friends for such a great celebration into the new year. I also just have to show my favourite pic from the night – don’t you wish you had a pair of these? Anyone got some serious resolutions for the new year? I never really have these, should 2013 be the year to start? Or will I just end up disappointing myself? Hope the year treats you well (or has already seeing as we’re a month and a bit into it already! This entry was posted in Play and tagged fun with friends, jol, laughs.